Kidney failure is one of the leading causes of death and mortality worldwide. It can be a fatal disease that often left undiagnosed until the worst manifestations set in. Also called renal failure, this kidney disease can be classified as “acute” or “chronic.” Acute renal failure can show its signs as early as within the year of its contraction, while the term chronic pertains to a more long-term disease that shows its manifestation over time. In this article, a more generalized approach on knowing the signs of kidney failure will be presented. Since the early signs are associated with the “acute” type of renal failure, the top 5 signs of kidney failure will be the main concern. This is not your ordinary lower back pain. Flank pain that is associated with kidney diseases has the characteristic tenderness unrelieved by relaxation or massage. The pain is usually felt at the back just below the rib cage. It can be elicited when a physician does his physical examination: the kidney punch – where he slightly hits the flank of the patient with his fist (both left and right sides). The pain will be felt by the patient as excruciating or almost tolerable but is somewhat located within the muscles of the back. A positive kidney punch in the physical examination, however, does not always point to kidney failure; but flank pain may be a sign of a kidney disease and that includes kidney failure. Flank pain associated with kidney failure suggests a prominent renal artery or vein occlusion. Oliguria is the medical term for little urine excreted during urination. An individual with kidney failure may not even excrete urine at all. It should be differentiated with “difficult or painful urination” that is associated with urinary tract infection. In acute renal failure, the patient urinates little amount of urine or no urine at all. In other cases, however, a patient with acute kidney failure may urinate in large amounts. People with kidney failure usually presents with signs of dehydration such as thirst, orthostatic hypotension, dizziness, reduced skin turgor, dry mucous membranes, reduced axillary sweating and increased heart rate. The kidneys are organs that maintain electrolyte balance in the body; if they start to malfunction, electrolyte imbalances ensue and signs such as mentioned may manifest. Livido or Livedo reticularis – or the purplish discoloration of the skin that usually involves the lower extremities. Subcutaneous nodules – circular masses that can be found just beneath the skin. The things that you can do when one or more of these symptoms present are to observe, monitor and get professional advice. A single sign may be due to other diseases, which may be a lot less serious than kidney failure; thus, do not panic. Observing one or more symptoms from the top five mentioned above can save you time and money. However, you should be very vigilant and get expert medical advice when you see that the symptoms worsen. Acting quickly as a response to early signs and symptoms is not being paranoid. Articles about knowing the signs and symptoms of a particular disease are not aimed to scare people who read them. In fact, it is essential to remain on the lookout for these signs in order to protect not only your kidneys but your overall health as well. Once you know you have kidney failure, you can start on the right track using an excellent resource to learn more. 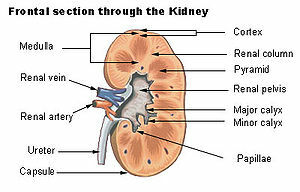 Check out our information page on our kidney failure options. Kidney Failure Diet – What Is It? A Renal Failure Diet – Why Do I Need One? How Quickly Will My Chronic Kidney Disease Progress To Dialysis?